- Sturdy Material: High-strength stainless steel, no rust, no fade, no deformation, sturdy use. - Exquisite designed \"Love\" theme, perfect gifts for him and her. - The large key ring is very practical to hang your keys and also a decoration to your keychain. 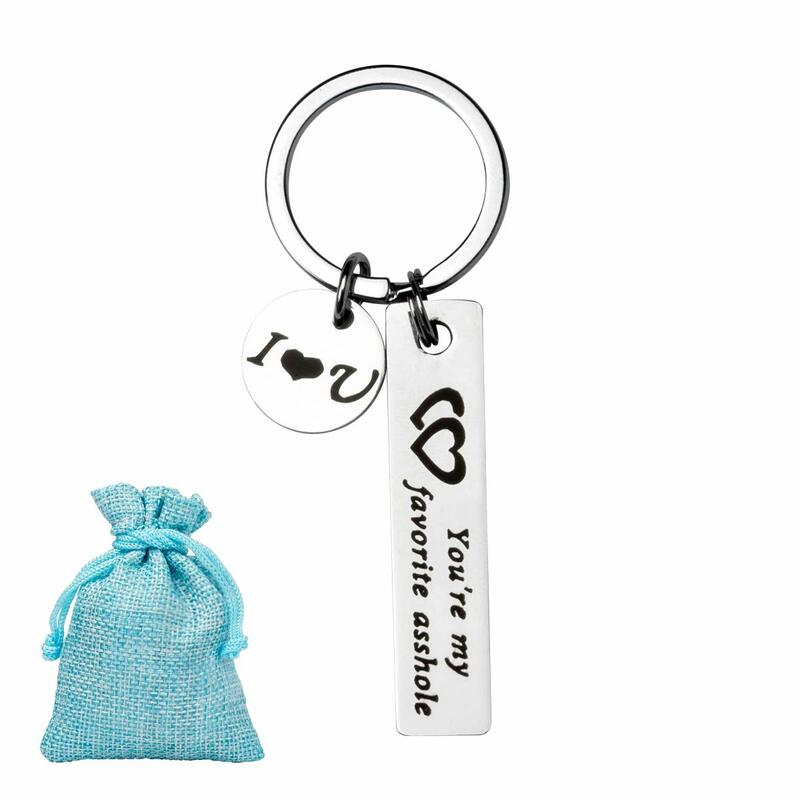 - Lovely gift packaged, gift option for your lover. 1 * Quality guarantee and 5-star customer service. If you are not 100% completely satisfied with your order, simply let us know and you will be offered a FULL refund or replacement.